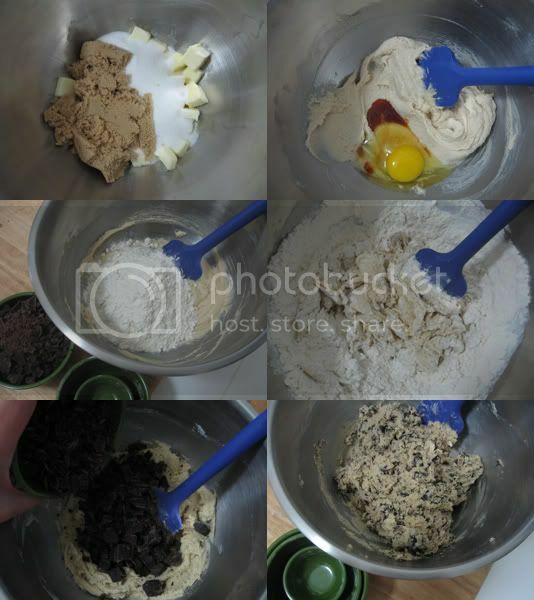 The only cookie recipe you need! Today I'm going to share one of the best recipes in the world with you! Ok, perhaps that's a bit of a stretch, but chocolate chip cookies are pretty damn appreciated in this world and I cherish this recipe greatly. It took years of recipe tweaking but I finally found THE chocolate chip cookie recipe. 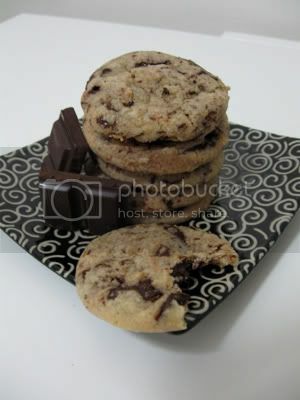 This dough makes a fantastic base for other types of cookies too - it's easily tweak-able! I've made coconut cookies, peanut butter cookies, and oatmeal cookies from this same base. But the chocolate chip cookie is still my favorite. But before I show you how to make cookies - I'm going to talk up some chocolate! 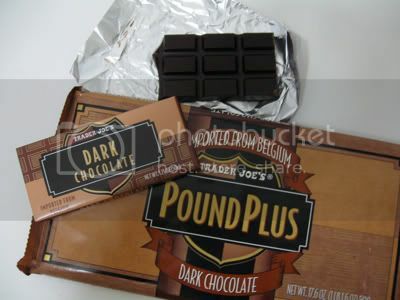 When it comes to chocolate, Trader Joe's Pound Plus bars are my favorite! They're only $4.99 for 17.6 oz of Belgian chocolate goodness! The semi-sweet bars are perfect for brownies or recipes where chocolate is the prominent ingredient, and the dark chocolate bars are what I chop up for cookies. 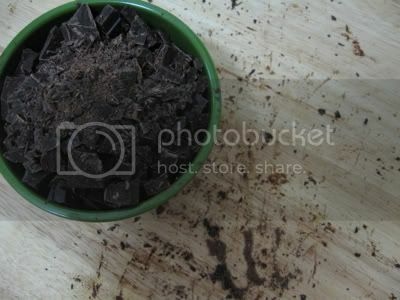 Personally, I prefer fresh chocolate chunks over bagged waxy chocolate chips any day! If you're lucky enough to have a Trader Joe's near you, go buy some chocolate now!!! ... from stuff like this? Mix mix mix. If you're lucky enough to have a mixer in your kitchen, then use the paddle attachment on that. Otherwise, make sure to build up some strong muscles! Working in a pastry kitchen for almost two years helped me become a strong whisker - but if you don't have that luxury either, then just do what I do and let your butter soften up a bit before attacking it with your spatula. - Start by preheating your oven to 325 degrees Fahrenheit and getting your dry ingredients ready: whisk together the flour, baking soda, and salt and set it aside. 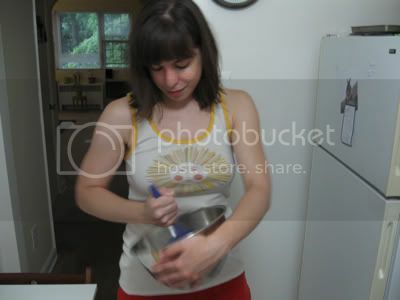 - In another bowl, beat the butter and both sugars together until mixture is pale and fluffy. - Add the egg and vanilla extract and mix until combined. 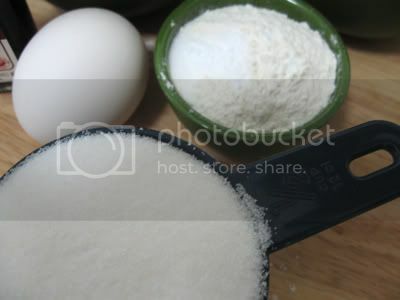 - Add your dry ingredients now and mix everything together until all the flour is incorporated. 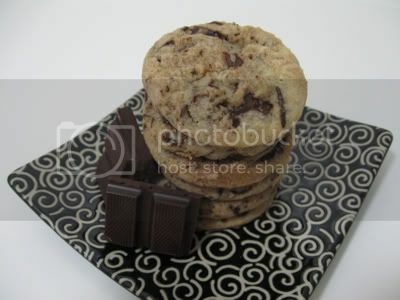 - Now you have a delicious cookie dough base! At this point, you can add in whatever mix-ins you please. I went with the traditional chocolate chips (ahem, chunks), but you can really veer off and add whatever you're craving - nuts, candy, coconut, dried fruit, cereal, anything! - Once you've mixed in everything you want to mix in, scoop little balls of dough out onto your sheet pan- leave about an inch of space between each- they will spread a bit! I usually fit about sixteen on my sheet pan. - Bake them for 16 minutes, give or take a few depending on how your oven runs and how crispy you like your cookies. - Let them cool on the pan for a few minutes before transferring them to a cooling rack.